Please Note: The integral thermostat functions as a temperature control only. This is not a fail safe device. 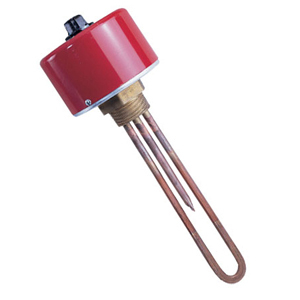 An approved pressure and/or temperature limit control should be used with these heaters to assure safe operation. See the Temperature section for our selection of control devices. †Heaters with Temperature Ranges 200-550°F are not UL listed.